It’s hard to go anywhere these days without seeing people staring at their smartphones, but one place that still asks you turn them off is the cinema. But even this may be about to change. In an interview with Variety, Adam Aron, CEO of one the biggest cinema chains in the world, AMC, said the company is considering allowing phones to be used in its US theaters. Aron said the plan was to draw more Millenials into cinemas as a way of improving the industry’s dwindling audience. “When you tell a 22-year-old to turn off the phone, don’t ruin the movie, they hear please cut off your left arm above the elbow. You can’t tell a 22-year-old to turn off their cellphone. That’s not how they live their life,” he said. "We need to reshape our product in some concrete ways so that millennials go to movie theatres with the same degree of intensity as baby boomers went to movie theatres throughout their lives." 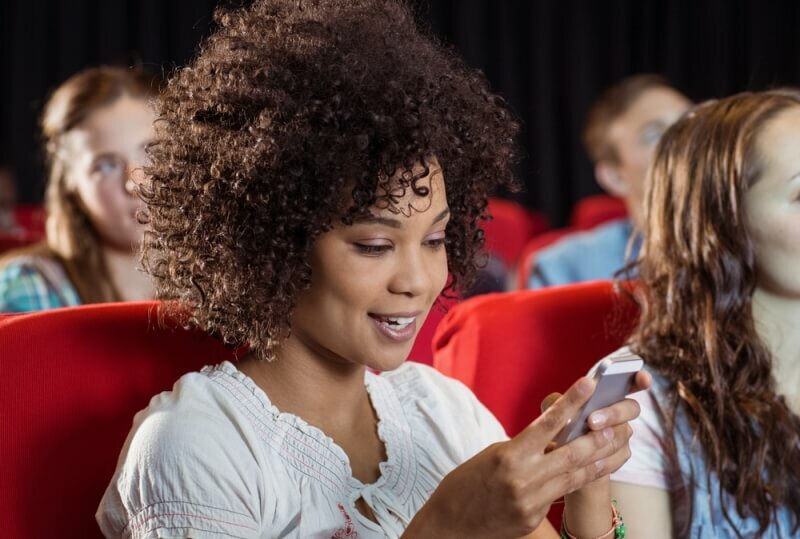 Aron admits that while the idea may appeal to some people, not everyone is going to appreciate having the glare of multiple smartphone screens disturbing their cinema experience. Aron did offer one possible solution that could potentially benefit everyone. He suggested designating certain auditoriums as ‘texting friendly,’ which would hopefully mean that those who can’t bear to go without checking their phone every few minutes can watch a movie in one screening room while everyone else can use another. Whether we do ever see ‘texting screens’ appearing in any of AMC’s cinemas remains to be seen. So far, the idea isn’t being very well received, with most people saying, rightly, that keeping a phone turned off during a movie isn’t a difficult task.